Indian Army is today celebrating the 45th anniversary of Vijay Diwas. Vijay Diwas has memorialized every December 16 in India, as it marks Indian Military win over Pakistan in 1971 during the Indo-Pak war. Many brave hearts in Indian Army died in the Indo-Pakistan war which is said to be the biggest war after World War II. The end of the war resulted in the one-sided and total surrender of the Pakistan Army and subsequent secession of East Pakistan into Bangladesh. To remember the memories and paying tributes to the brave Jawans who sacrificed their lives for the nation, Indian Army is today celebrating Vijay Diwas in Jammu. Army Representative Colonel SD Goswami said that the 44th Anniversary of the event was celebrated with traditional enthusiasm at the Northern Command Headquarters. 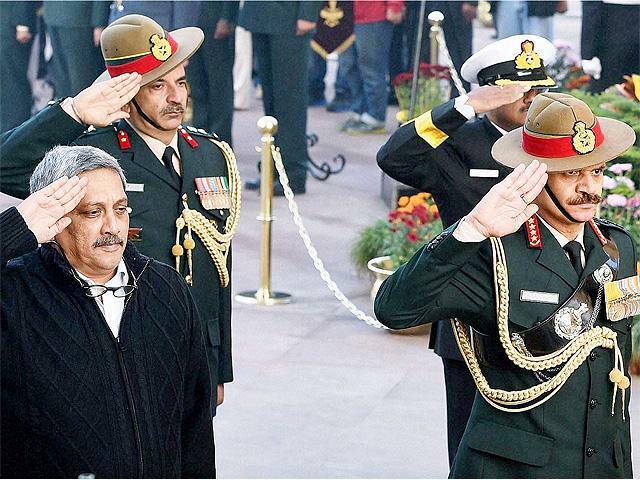 “A huge number of VIPs, ex-servicemen and service personnel take part in the celebrations. Now, December 16 is celebrated as Vijay Diwas to remember India’s victory over Pakistan,” he added. On December 16, 1971, the Chief of Pakistan Army forces, General Amir Abdullah Khan Niazi along with 93000 crowds surrendered to the similar forces consists of Indian Army and MuktiBahini, led by General Jagjit Singh Aurora in Dhaka after their defeat in the war. This is said to be the largest military surrender after World War II. The Northern Command celebrated the event with a headdress placing at Dhurva Shahid Smarak by Lt Gen NPS Hira.After the war, Pakistan reported having lost half its Navy, a quarter of its Air Force and a one-third of its Army. The war exposed the nation of more than half of its population. At that time, Bangladesh was founded, and the 10 million migrants returned to their motherland with shouts of ‘Joy Indira Gandhi, Joy Bangladesh.’ At that point, A.B. Vajpayee praised Indira Gandhi and called her as Durga. However, today is a memorable day for Indian Army, and it was their biggest victory ever in the history.